Since we officially launched in April 2018, it has been a crazy few months. From our highs to our lows (but mostly highs, because we love our work) and first-ever workshops to first-ever partnerships, we can only go up from here. But wherever we are and whatever we're doing, your support has kept us pushing through. YOU are why we do this work. So, help us help you! Here’s a quick list of what we need help with right now to help keep bringing you even more amazing content and programs! We are constantly hosting new events, workshops, Twitter chats, and writing new blogs. We need your help to make sure our resources each every corner: read our stuff and share it on social media, tagging us @TheMCSquad_DC or using the hashtags #TheMCSquad and #WorkingWOC. We are taking The MC to women of color all over the United States (for now). If you know someone who might like our work, send them our way! We are for every woman of color, from students to professionals, techies to artists. We work with women of color who are struggling to thrive, heal, or just survive everyday toxic environments. We are a movement encouraging women to work as a collective for the common good to create a world where we are striving not just surviving. Know some organizations that want to improve how they work with women of color? Are they having trouble recruiting, retaining, and promoting women of color? Well, we recently launched The Melanin Alliance. Through The Melanin Alliance, we work at the organizational level to address the organizational sociology that has created barriers for women of color and people of color, in general. Our model is simple: work top down to help eliminate toxic workspaces and, at the individual level, help people of color maneuver toxic workspaces while preventing the long-term trauma that occurs from these experiences. Know other remarkable women, organizations, or companies doing incredible work? We are ready to work with and partner with organizations who also aim to promote the well-being of women of color! Interested? Check out what we mean by partnership here and or share with an organization that you think would be an excellent fit for us to work with. We are brand spanking new, and this is a labor of love for Kaitlyn and me. While we have invested our money, experience, expertise, skills, and time into making The Melanin Collective what it is right now, we need your support while we grow as a social enterprise. Why? Because only 0.2% of venture capital goes to women of color and businesses owned by women, minorities lag in revenue share. 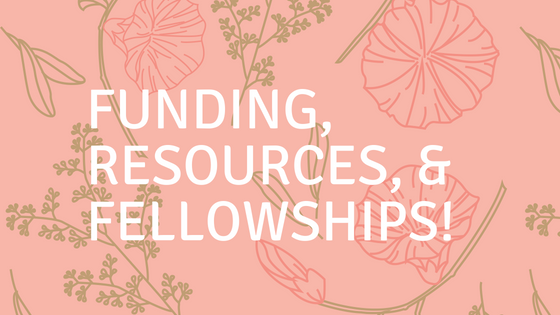 Please send us any grant opportunities, fellowships we should apply to, or connect us to resources and people we should know about. We will do the heavy lifting, but we can’t do what we don’t know! Ready to invest in us? Follow this link. As you know, women of color are underpaid and make up the majority of the low-wage workforce. Women make $.80 to a dollar of what men earn, but it gets worse for women of color. Black women are paid about $.63 for every dollar a white man makes and Latinas are paid $.54 to that same dollar. Sometimes it’s difficult for us to invest in ourselves, and we need a little help. The Melanin Collective would love to offer partial scholarships to participants who would like to attend our workshops and are unable to for financial reasons. If you would like to sponsor a woman of color or gift a ticket to one of our workshops, follow this link. Follow us online on Facebook, Instagram, and Twitter and invite your friends to follow us too! Thank you so much for helping us get this far. We are eternally grateful for your support, your good vibes, and your openness to hearing our message. We will continue to encourage women of color to live their best lives and are working to do the same.